USA and fabricated right here in Alaska. 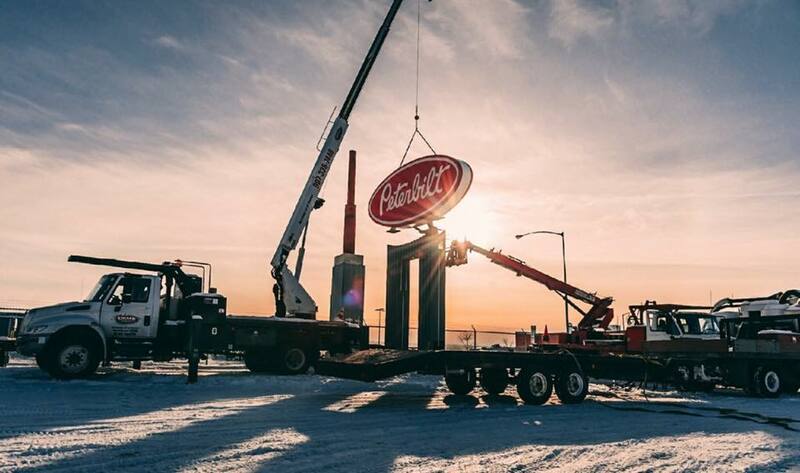 Thank you for giving us the opportunity to introduce you to Signco Inc., an Alaska custom sign company that manufactures, installs and maintains signs of all types throughout the state of Alaska since 1990. Our goal at Signco is to provide the highest quality possible in our product and have a top notch staff with a team spirit at all times. 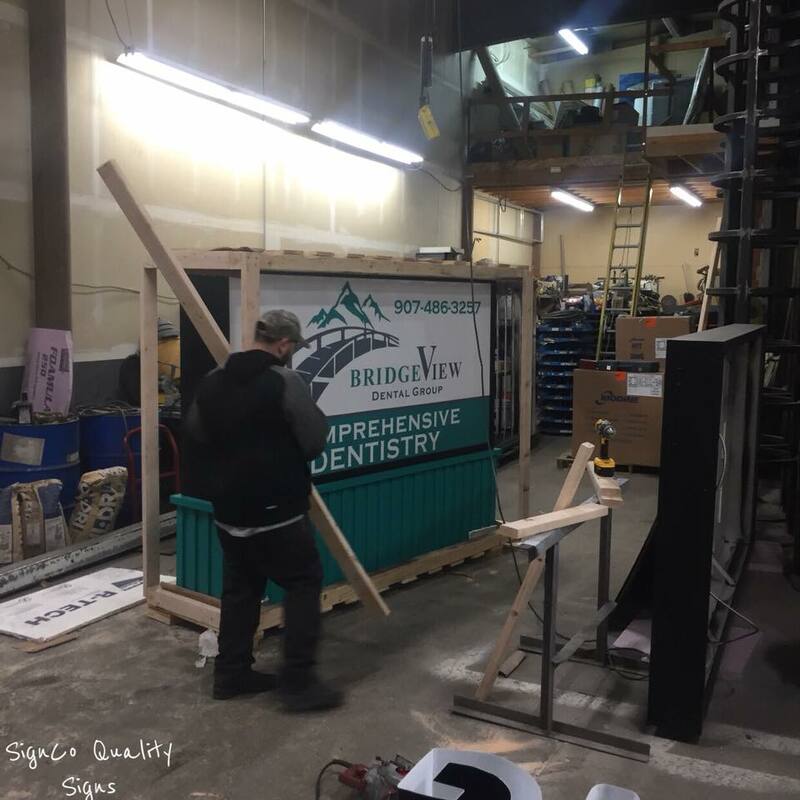 While using top-of-the-line, up to date equipment, we produce signs, big and small, to our existing clients, while marketing to new customers every day. Established in 1989 in Anchorage, Alaska. Signco is where manufacturing limitations is your imagination. Thank you for all of your support throughout our nearly 30 years of service in Alaska. 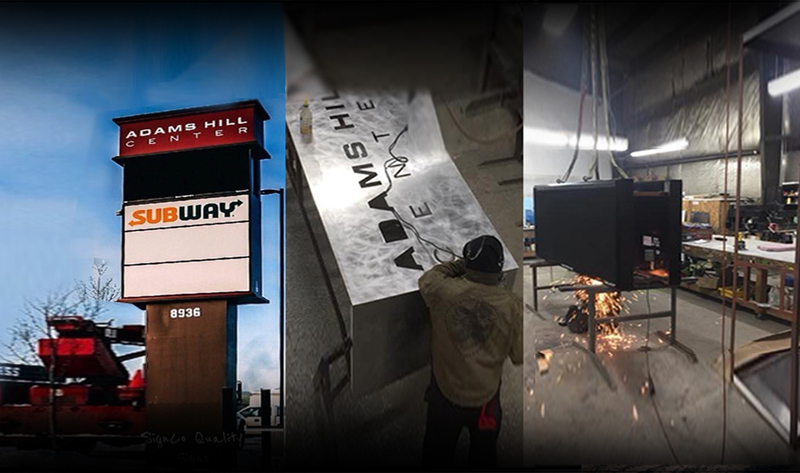 Read more about our relationships statewide and why you should choose Signco Quality Signs. Eye catching sign on a building, highway or street using highly visible text and animation…. Create a custom cover in front of your building for customers, as well as advertising through signage to the general public…. Create a nostalgic feel with Neon, or use the latest up-to-date technology to highlight your business and brand with LED…..
Use high-resolution vinyl to attract your business’s consumer to your storefront with decals, stickers, wraps, vehicle lettering, window lettering, window graphics, and more…. Identify your business’s lobby by using layered plastic with vinyl letters, dimensional plastic raised letters, Plexiglas, and metal letters to make it easy to navigate your company’s building…. Fantastic quality and incredible creativity. They seem to be able to make every idea a 3-D reality.